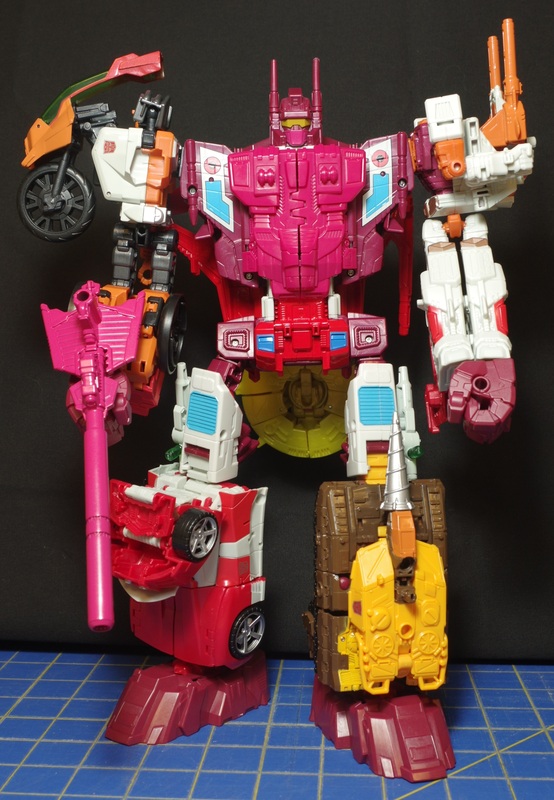 Continuing on with the updated Decepticon Headmasters, today’s review cover’s Titans Return Mindwipe. 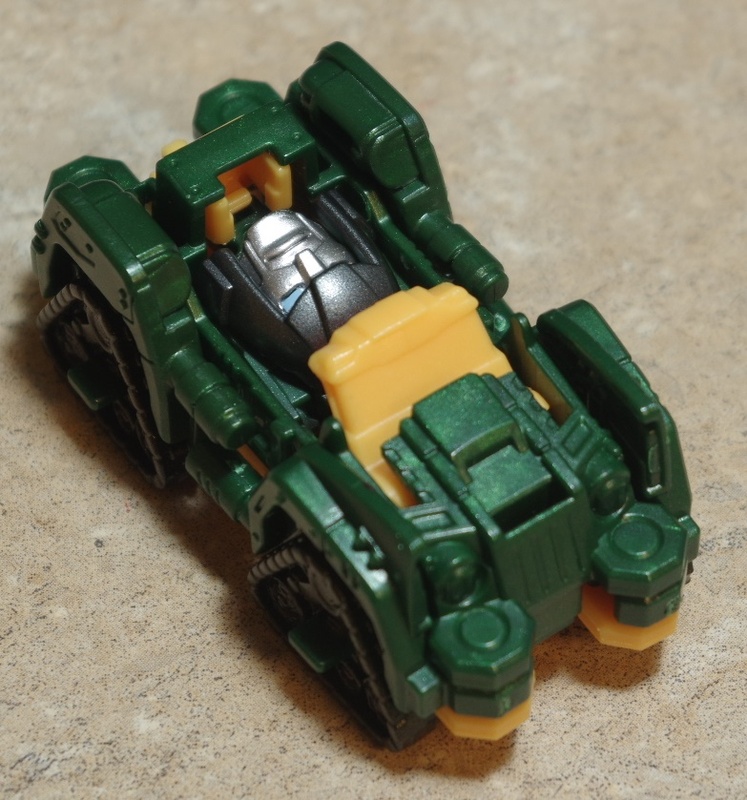 Wave 1 gave us Skullcruncher, the first beast based headmaster, Wave 2 gives us Mindwipe and Weirdwolf. All of the updated Headmasters figures are very close in design and look to their original G1 counterparts with the exception of Mindwipe. 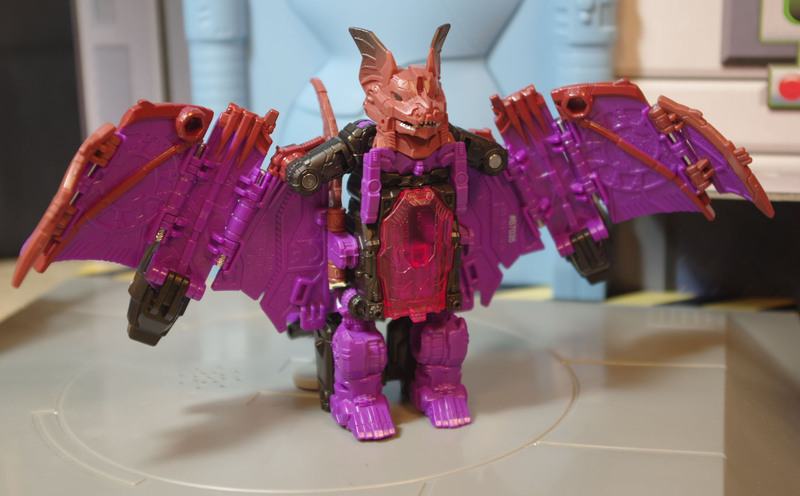 While Mindwipe captures the essence of the Bat to Robot, he has a very different transformation and much more proportioned look overall. That design change isn’t necessarily a bad thing, it’s just something that may bother people looking for a really pure “update”. Titans Return Mindwipe is also much closer to the original design than the previous best update from Hunt for the Decepticons. 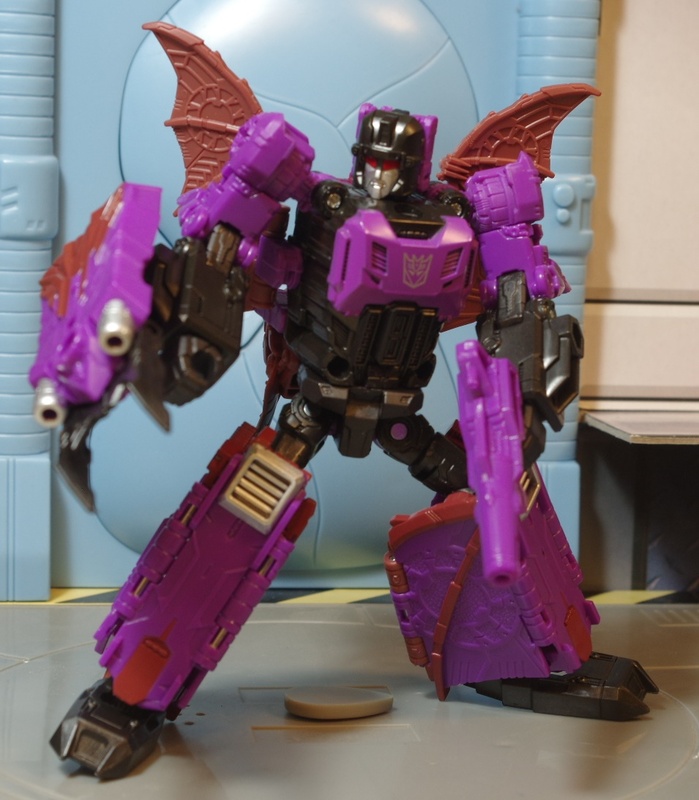 HFTD Mindwipe is a nice figure, but he’s a brownish stealth bomber robot. He’s as close to the original design as HFTD Highbrow was. 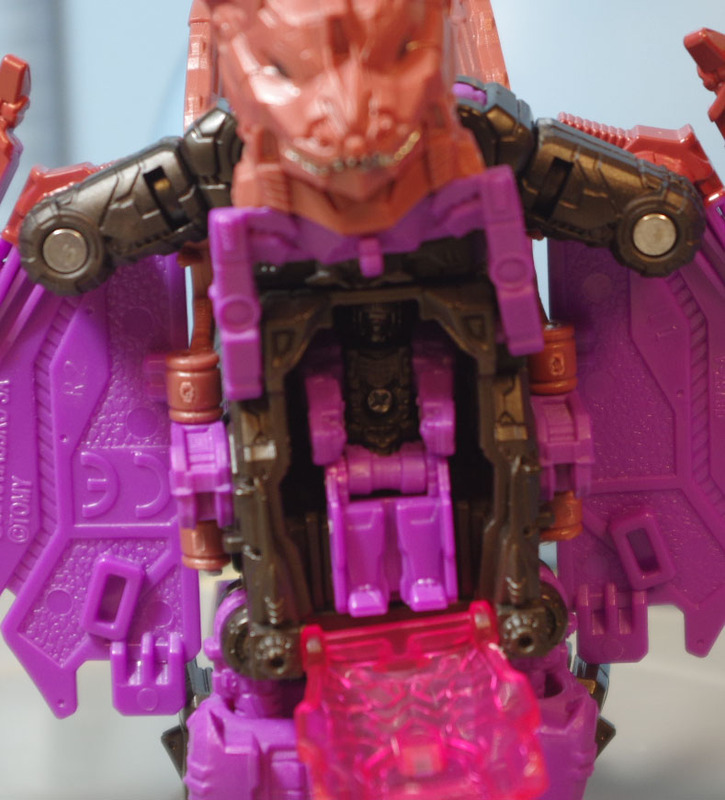 Like Skullcruncher, Mindwipe does some really interesting things with his Transformation and design. 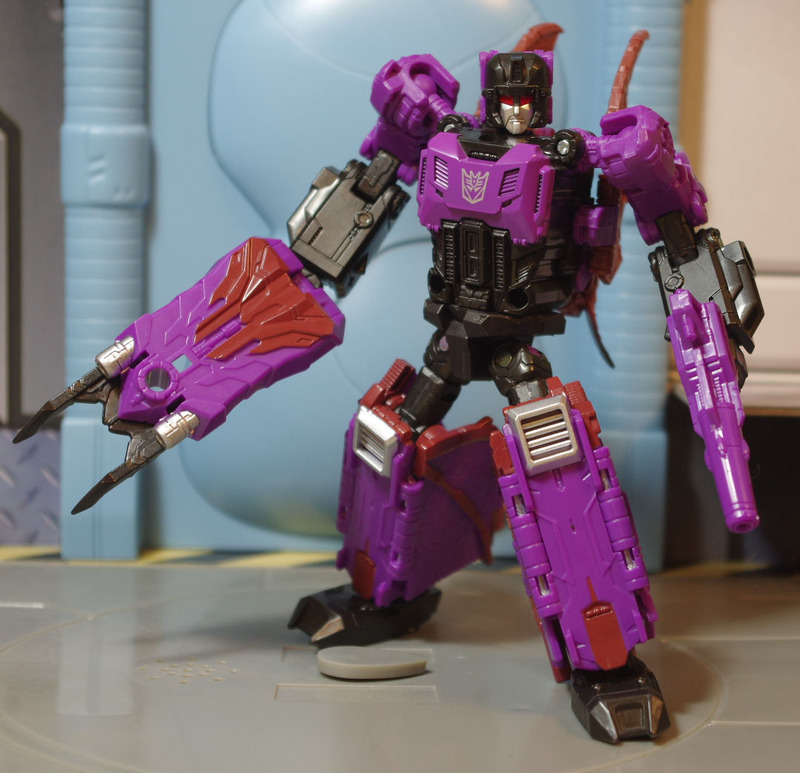 Fortunately, Mindwipe isn’t nearly as flawed as Skullcruncher is. His shins are a little huge, which hinders his leg articulations a but that’s his only major flaw. I suppose I could also mention that the claw weapon is supposed to peg into the Bat’s but to form a sort of tail but it falls out instantly because the hold is too large as well. It really doesn’t feel like much of a flaw though because frankly, the tail is underwhelming and looks lame anyway. The bat is better off without it attached. So what actually is interesting? Firstly, his robot has extra vestigial wings, entirely to give him wings in his robot mode. This is because of the way the actual wings transform. They sort of roll up on themselves to form the legs. It’s certainly a different technique for dealing with wings in the Transformers line, and pretty clever to boot. 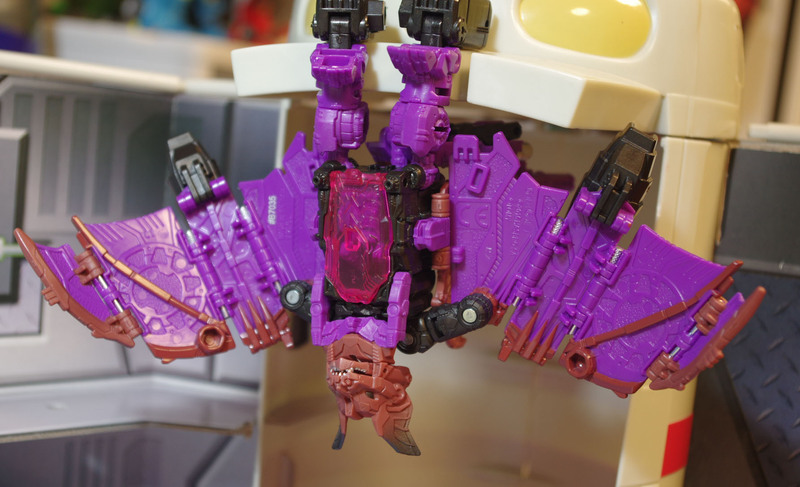 Also fun is his Titan Master cockpit in bat mode, it’s a coffin shaped door, you know, because coffins and vampires and bats. It’s a neat little touch for what could have just been a simple open and toss him in deal. The transformation is a bit tricky due to the way the legs/wings work, there are a lot of swivels and joints that have to be turned just right to make everything line up and tab in properly, which could be a little tricky for some. The bat head mouth opens and closes, which is a nice touch as well, but it doesn’t have any way to look “up” for flying poses. Titan Returns Mindwipe is a pretty fun and neat addition to the line. 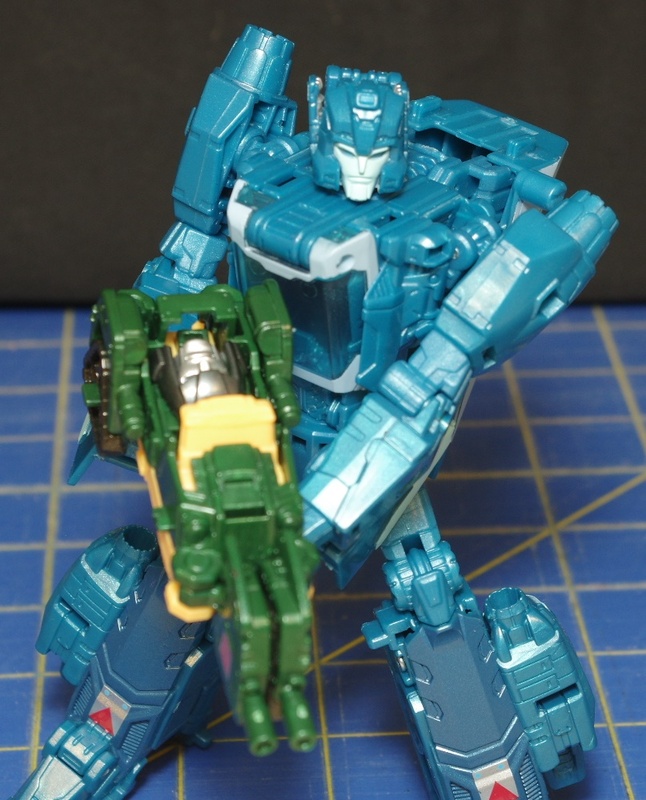 He’s definitely a step up from Skullcruncher’s floppy mess.